Ericsson discussed the implementation of smarter services across a variety of industries and the key issues facing network operators with remit to support increasingly connected societies at GSMA Mobile 360. In the Networked Society, where connectivity is the catalyst for collaboration and innovation, smarter services are creating differentiated experiences and operational efficiency, said a statement. 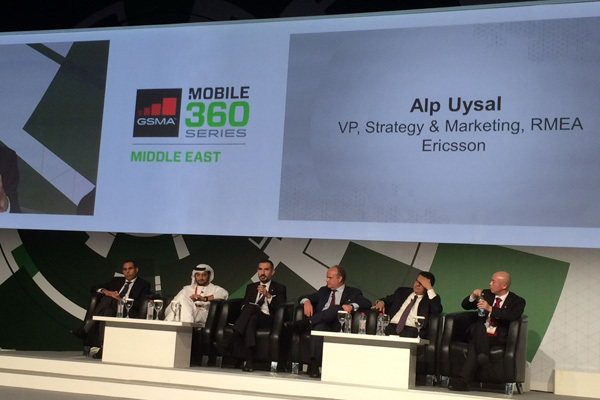 Drawing on the skills of expert speakers at GSMA Mobile 360, Ericsson will examine the issues in implementing these services, as well as solutions that pave the way to life in the Networked Society, it said. Alp Uysal, vice president and head of Strategy and Business Excellence at Ericsson, said: “In the Networked Society, information and communications technology will be the catalyst of a new economic model delivering growth and prosperity based on a greater social cohesion and environmental sustainability. Tarek Saadi, head of Sales, Ericsson - Middle East, said: “ICT has unleashed an era of increased innovation where industry players are continuously challenged by new markets, emerging challengers and novel logic in terms of value creation. Smarter services are being implemented across a number of industries, ranging from national to cross-border implementations, said the statement. Implementing smarter services requires high levels of co-operation and co-ordination to deliver services effectively and at scale.